MSBA Past President Jim Nolan shares what he has learned from more than 40 years practicing law. JAMES P. NOLAN is a Director of the law firm of Council, Baradel, Kosmerl & Nolan, P.A. in Annapolis. His practice includes general civil and criminal litigation, administrative law, business and commercial law, corporate law, construction law, real estate and land use law, and personal injury law. Mr. Nolan served as MSBA President in 2002-2003. 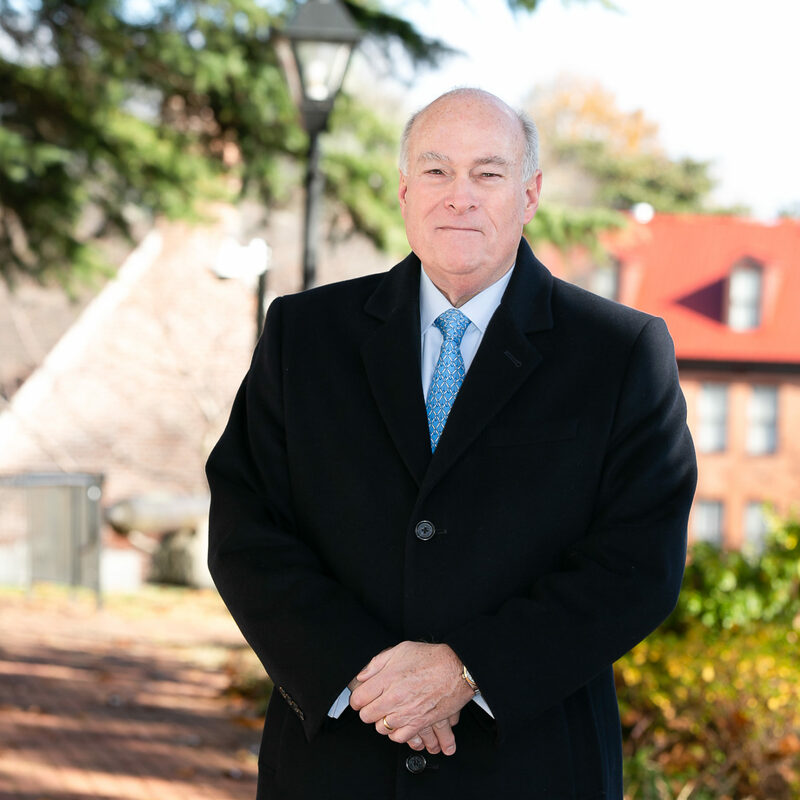 He recently sat down with the Maryland Bar Journal to share what the experience – as well as a legal career spanning more than four decades – has taught him. MSBA: How did you come to pursue a career in the law? JN: My older brother, who was attending Georgetown Law School, is the one who planted the seed. During my senior year of college, he approached me and asked, “Well, what are you going to do when you graduate?” I thought about perhaps going to law school, and decided it would be a good thing. I planned to pay for it myself, so I decided to work for a year. I worked on building the second span of the Chesapeake Bay Bridge with the Operating Engineers Union out of Baltimore. I worked in a concrete batching plant at night to make the money to go to law school. I was fortunate to be admitted to the University of Baltimore School of Law as a full-time student. Going to UB gave me an opportunity to do practical things [in the process] – I clerked with the state’s attorney’s office in Baltimore City, and then I worked for a group of trial lawyers doing criminal- and civil-related work, as well as administrative-type work. I actually had my first jury trial about three weeks after being sworn into the Bar in December 1974, because of the practical experience that I had gained working with a group of very fine lawyers. JN: I graduated from the University of Baltimore School of Law in 1974 and was admitted to the Maryland Bar that same year, launching my career as a private practice lawyer. My wife, Nancy, and I were married in November 1974, and we decided to move back to Annapolis, which was effectively our hometown, in June 1975. I was engaged with one trial firm for five years before moving over to my current firm. MSBA: You were admitted to the Maryland Bar in December 1974. What was your early career like? JN: When I started out I did anything and everything I could possibly get my hands on in order to earn a living. It was a very broad scope of practice, but over the years I refined it and worked it down to being predominantly involved as a business and business litigation attorney. The other part of the journey, if you will, has been giving back. I think that is one of the most important things that any of us, as lawyers, can do. We should give back to our profession, give back to our community – whatever works for us, but we should be doing something. MSBA: What have been some of the major challenges you have faced during your 40-plus year career? JN: I was the Managing Director of the firm for a period of 28-and-a-half years. Thank goodness, we have a very capable group of younger, energetic lawyers who are now running the firm. I’m happy to remain a part of it, and active in the practice. MSBA: How has Bar involvement enhanced your career? When did you first become involved with the MSBAbar association, and how has it enhanced your practice? JN: After helping to start a young lawyers group in Annapolis, I [eventually] served as President of the Anne Arundel County Bar Association. Later, I served on the MSBA Board of Governors, and kind of got hooked on MSBA working with the Program Committee, as well as other Committees. After being elected as MSBA Secretary, I worked my way up to become President, which is a huge honor. Afterward, I developed an interest in the American Bar Association. I served 18 years as a member of the ABA House of Delegates before I decided to step down in August 2018. It was time to let somebody else get involved. During that interim, I also served on the Executive Council of the National Conference of Bar Presidents, and was very honored to serve as its President in 2009. MSBA: What have your various roles within MSBA’s leadership taught you? JN: Being an Officer as well as serving on different Committees gave me an understanding of the organization. It taught me that the MSBA is comprised of really wonderful and dedicated people – the Executive Director, all the members of the staff. What I learned was that if you’re going to get into state bar politics or organizational work – just like with your own businesses, quite frankly – hire competent people, and then let them do their jobs. As bar leaders, we have to understand that, when you’re President, for instance, you’re President for one year. There are plenty of Presidents who have come before you, and there are plenty of Presidents who will come after you. Remember, you’re there for one year, so let the staff do its work. They’re going to make you look good, and you’ll actually learn from them, and realize that our organization, just like our communities, is made up of lots of different time of people in the practice of law. We have big-firm lawyers, solo practitioners, people who do transactional work, people who do litigation work…but everybody has a place at the table. It doesn’t matter who you are, I think that we should always remember to keep an open mind and be inclusive. The other big thing I’ve learned is that it’s so important to communicate, and communicate effectively. Reach out to your constituents, communicate, let them know about the organization. Let them know all the things that are being done for them. I really do think that they appreciate it, and that’s what makes the organization sound and vibrant. I think one of the biggest things the MSBA can do is to effectively communicate to everyone. The organization of the bar itself needs to make sure that we’re constantly communicating the message that we are here not only for our members, but for the public at large. MSBA: What words of advice would offer new or up-and-coming attorneys? JN: My advice, very simply, is work hard. Be ethical. Don’t cut corners – it’s simply not worth it, and it won’t get you anything good in the long run. Have some passion for what you do, about being a lawyer and about the profession. I think that’s one of the most important things that any of us can have and exhibit. At the end of the day, I think we all need to understand that what we do is extremely important, but I don’t think that we have to take ourselves too seriously. Take what we do seriously, but not necessarily ourselves.